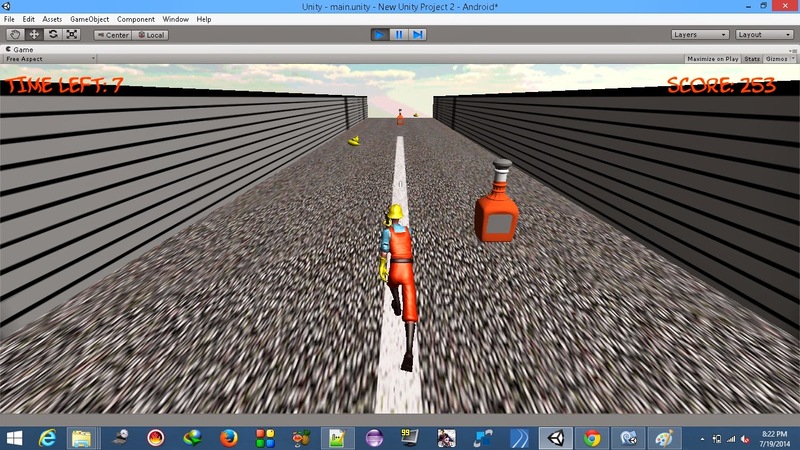 The Unity's default GUI is very austere, it really is. 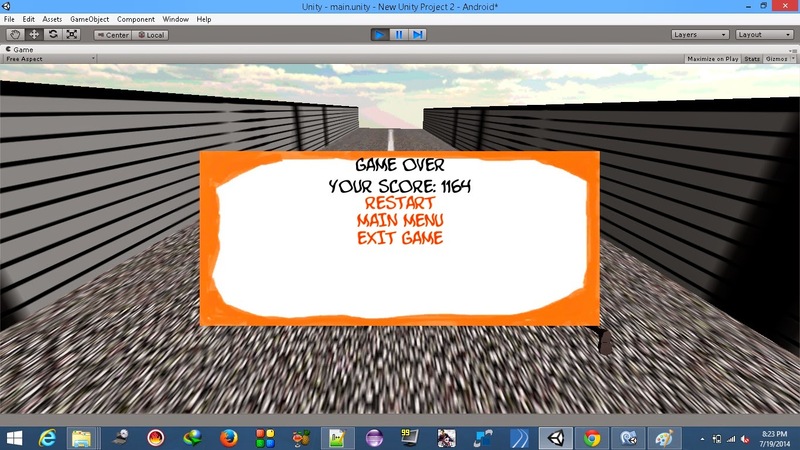 To our horrible fate, our background is white and so is the default unity GUI label's font. In this post we will create a GUI skin and try to make it look a little better. The first thing that you need to do is create a folder named Skins just for sake of neatness. In the folder which you just created, right click and Create->GUI Skin. Name it as, say, MySkin. As you can see, the default font is Arial, which as per me is not that aesthetic. You can get different fonts from various sites which offer free fonts. The font which I am using for this post can be downloaded at link. Extract the font to your newly created Fonts folder in the Project panel, if you have not created the folder yet, then create one. You can simply drag and drop the extracted font to your folder. Once done with this, replace the Arial font of MySkin with this newly downloaded font. I believe you will find many fonts, but use the first one which is named KOMIKAB_. You can change the font color by clicking on the Text color band. Also, change the font size to 35. Import this image to any folder or create a folder named Textures and add it to this folder. Change the font size of the Box to 30. 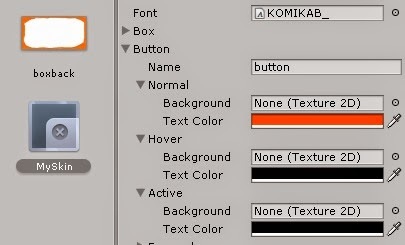 Change the text color of the button->Normal to the same color and also change the Font Size to 30. You are done with creating a Custom GUI Skin. All we need to do now is to use this in our game. There is one thing left to do, adding the skin to the reference. 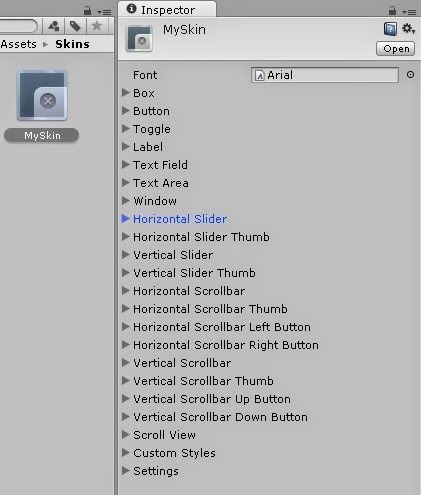 You can do this by dragging the custom skin to the Skin field of the GameControlScript in the inspector. Now you are all set to test this. Press the play button or ctrl+P to test the game and you will have a better looking displays of the score and time left. The 2nd error is due to the "\\" in line 52. I should have used "//" for commenting. The 1st error is perhaps due to the fact that you have the script of the same name already and you have created another script of the same name. keeps giving me this Window tries to begin rendering while something else has not finished rendering! Either you have a recursive OnGUI rendering, or previous OnGUI did not clean up properly. Well, you don't need to see those, I had included some extra lines of code and took the screenshot then. Its normal that you don't see those in your project..
hi.. upon running.. it gives me this error message..
MissingComponentException: There is no 'Renderer' attached to the "GameControl" game object, but a script is trying to access it. You probably need to add a Renderer to the game object "GameControl". Or your script needs to check if the component is attached before using it. Its Giving Me 19 errors What I do Please Help???? 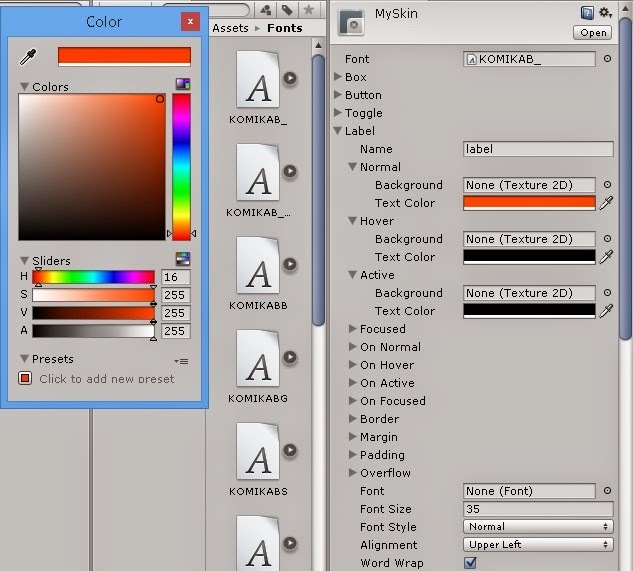 i would like to know , with custom gui, using myskin, there i setup the font size to be 20.
the size of the font fix to 20 although i change the size of the screen. The position change because of Screen.height and screen .width..what about the font size..it not change size when i play around with the screen.. it makes the font normal in pc but bigger in android phone..thank you for your time..